When a vehicle turn useless due to accident or aging, it needs to go to a place where it is treated safely. 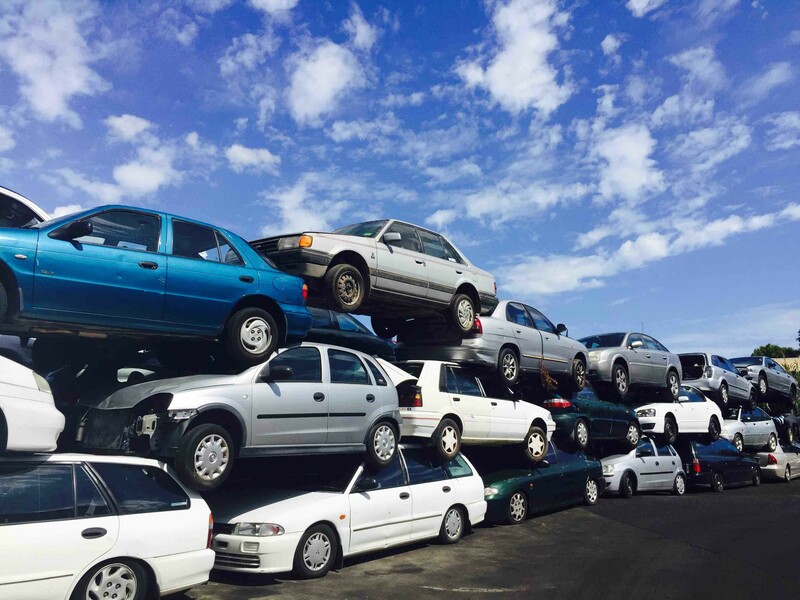 Scrapyards or salvage yards are indeed the inevitable part of an automotive industry. These are especially designed to accommodate broken, not-working and dead vehicles. After getting into a junk yard a vehicle is effectively wrecked for extracting valuable items. The major goal always remains in separating all of the good working parts and materials. Even if it has no usable items, the metal can be extracted from its body and recycled. There are many communities and organisations that take scrap vehicles for the purpose of controlling undesirable waste. However, most people don’t know how exactly do these companies work? The major fact is that these companies collect junk vehicles for its salvageable parts and scrap metal. Hence, these companies are recognized as the major source of reasonable second hand auto parts. When vehicles get salvaged, they are not in a useful state or in a state to be driven on the road. This is where your local salvage yard come into the role. They purchase a number of such automobiles and dismantle them re-use purpose. After it is wrecked into pieces, every part that is good working condition is separated. This goes for all useful components like the doors, mirrors, seats, lights, windows, tyres, trims, etc. Once the process of parts removal is done, the components are sent for recycling and testing. This done to verify that they are working properly and ready to be used as second hand items. Just after testing the parts, they are stored in inventory. When a person needs to buy a used spare part, they can easily get one at their local salvage yard. Just make them a call and a representative will know your demand and deliver the exact items at your door. This service is usually inclusive of extra fees. How Scrap Yards deal with useless materials? After separating the parts that can be re-used, the parts that are damaged or unfit for recycling purpose are accumulated. These components are hand over to the recycling centre where they get crushed for scrap metal. After this they are sold as chunks of scrap metal. If the generous scrap yard were not established, people would have not gotten rid of their trash automobiles. As a result, we would see undesirable and junk vehicle pileup everywhere on the streets. After an automobile brings to scrap yard for dismantling process, a series of steps are taken beforehand. First all of its fluids are removed and stored in sealed containers for future use. After this its usable components, like tyres, seats, batteries, oil tanks, engine, etc. are pulled out. These items are then recycled and reused as used components. If its tyres are not in a good condition, they can be burned and used as a great source of energy. While they can be also used in the manufacturing of rubber asphalt. The rates of second hand components are fixed on the basis of their condition. For instance, if a refurbished component is working as well as a new one, it is sold as a good quality second hand part. Scrap yard dealers usually maintain a huge database for keeping track of numerous used parts and accessories in their collection. This also helps them to identify a component easily, when a customer place an order.